The Espolon is a mellow float with some occasional play and spectacular water quality. For 20 years the river has been a favorite training run for beginner kayakers visiting the Futaleufú area. With easy roadside access and close proximity to the town of Futaleufú the river sees a surprising number of visitors in the summer months December thru April. There are two short sections to the river. The upper sections is 5-6 km long and can be reached in several ways. The easiest is to follow the main road out of Futaleufú towards Chaiten. you will cross over Puente Espolon. The campground on river right serves as a great takeout. To reach a put in continue on main road heading towards Chaiten. There is a turn off about 4 km downstream where you will be able to park just beside the Espolon. To get to a higher put in proceed downstream few hundred yards and turn right following signs to Lago Espolon. Put in at base of a unrunnable falls. 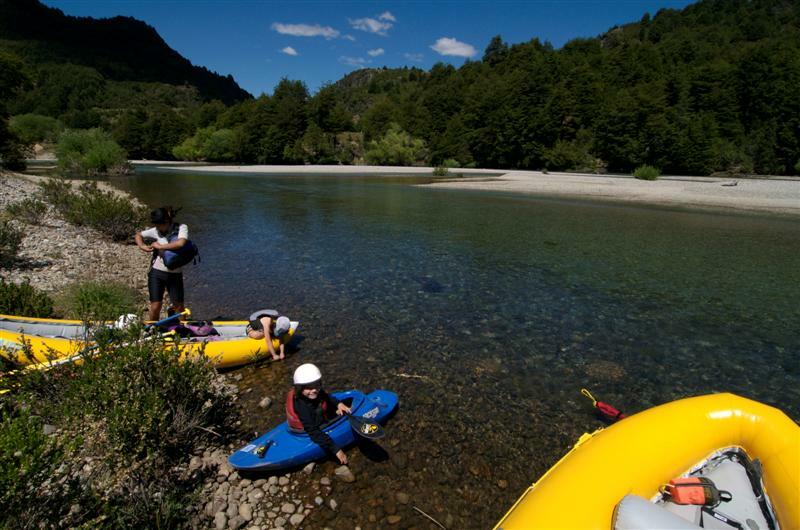 Option three is to leave town of Futaleufú heading up the east side of the river. Put in at convenient spot. The lower 4 km run begins at Puente Espolon and goes into the Futaleufú. This 4 km stretch has some good play waves and better rapids than upper stretch. A takeout point is on river river right at the old bridge. 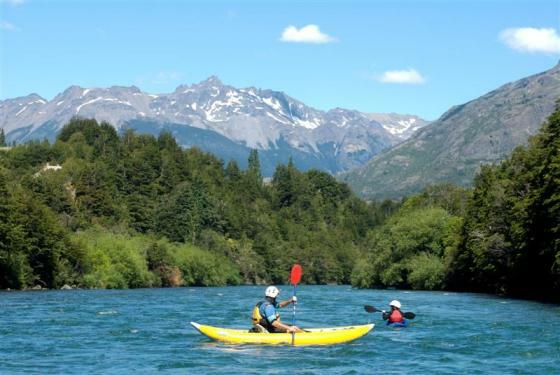 To reach the take out by car from Puente Futaleufú drive towards Chaiten and after less than 2 km take first major left. there should be a sign that says “La Confluencia”. follow this road until a T intersection and here go left and continue until you reach a river access point.